Easter is a Christian celebration of the death and rebirth of Jesus. Before Christianity in Northern Europe it was a celebration of the Goddess Eostore. Hare or the rabbit. Now we have chickens too. They have become the symbols of life multiplying. 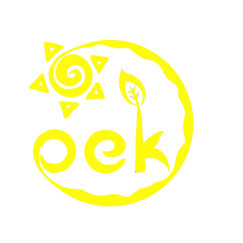 At Oek we celebrate new beginnings with our Easter festival. As we begin our new school year we are hoping for a fun year where your English multiplies! I also want to thank Baika Kindergarten for their generosity in lending us their premises. This has allowed us to include more students who want to join in!